Urea is form with thunderstorm in sky and poured down with rain water. 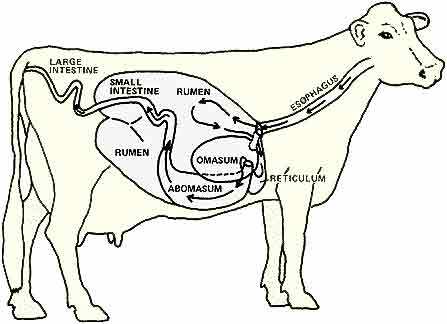 In cow buffalo, goat digestion is microbial in rumen. So, they can utilize urea. We can feed up to 100 gram urea, slowly, to adult cows daily. Hundred gram urea is equal to 1.5 kg oil cake. Hundred gram urea hardly cost five rupees whereas 1.5 kg oil cake cost about 50 rupees. So there is great saving. It is a good option for desert or hill area where oil cake is not available. If you have good quality fodder then urea is no use. 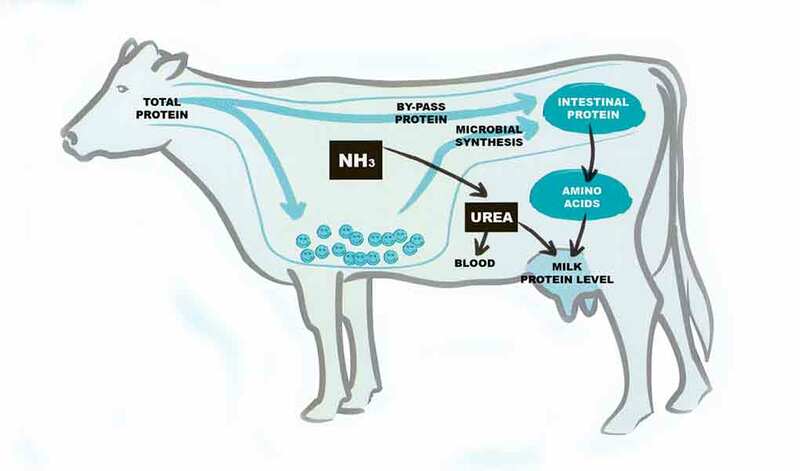 Ruminates are able to utilize urea once the rumen is developed. In cow rumen is developed at 5 month of age. You can find out details of urea feeding on internet. Most of cattle feed has 1% urea. Now a day’s urea lick is available, which is good option for poor dairy farmer. Urea is also used to delignifying bhusa and paddy straw. By accidents it your cow consumes urea in good amount then it may die. But its antidote is vinegar or acetic acid. Urea mixed cattle feed is not fed to young calves below 5 month of age. In different states of India Livestock Development Board are providing urea licks which is known as CHATAN BHALI. Please consult the respective Livestock Development Board in your state for details. 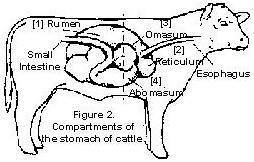 Rumen anatomy of cow from internet. Urea can soften dry fodder for animals (delignification) from internet.